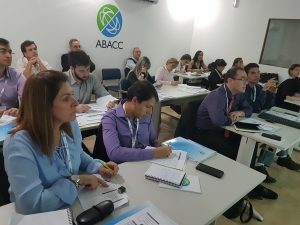 From August 28 to September 1, 2017, it was held in the headquarters of ABACC, Rio de Janeiro, the “General Course for ABACC inspectors”. 13 new Brazilian inspectors attended. The program included topics such as the legal aspects of safeguards in Brazil and Argentina, its basic concepts and the techniques to be applied in the inspections.